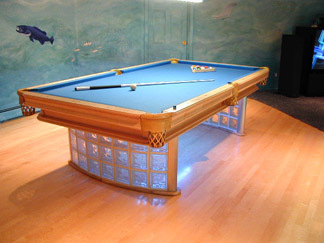 Here are some pictures of the custom Olhausen billiard table, now with the correct pockets! 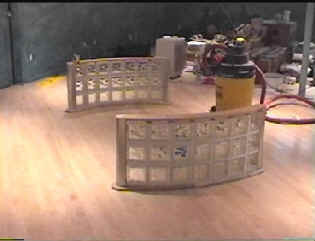 Nov 20, 2000: The Octopus light is now in! Thank you Lynn Lee from Wolfer's Lighting in Waltham, MA! Here is the table as it looks today. Note how the pockets (Custom made by RCDesigns ) blend in and reinforce the effect of a monolith floating high above the birdseye maple floor with the same extremely simple lines that are pervasive in this room. 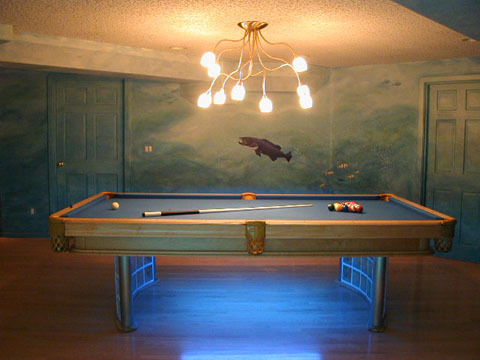 If you've ever shopped for pool tables, you know that this is not easy to do. 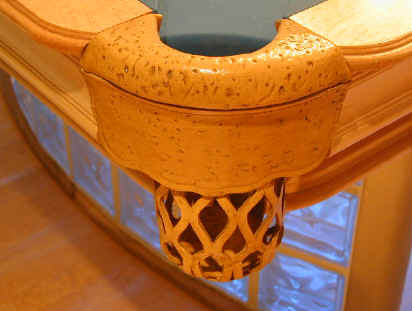 Tables have a traditionally ornate look that is tough to get away from while still preserving the playability. Yes, that is a light underneath the table! 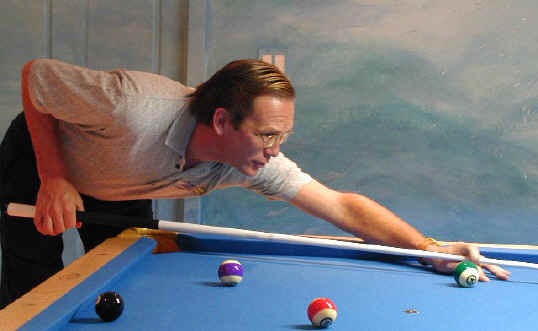 I was fortunate enough to talk to Donny Olhausen at Olhausen Billiards about what I wanted in a pool table. He suggested that we start with a style called the "Louis XIV" in light maple, but remove all of the carvings, dark stain, and legs, and then build up from there. We ended up with birdseye maple rails and Abalone (Like "Mother of Pearl", but with more varied color) diamond sights and no factory legs. 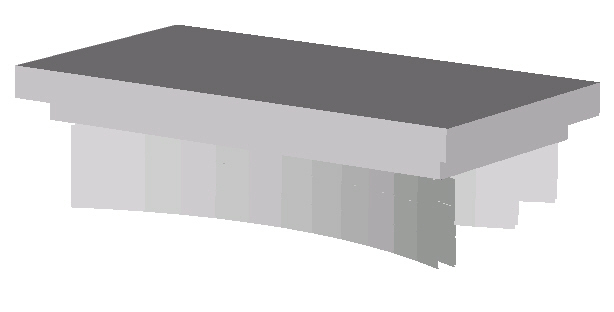 I built the legs up from Glass block mortared into two structural legs made of solid maple and covered with lacquered aluminum. Needless to say, I'm thrilled with the result and with Olhausen. The table plays beautifully! Here's the man himself, Donny Olhausen, playing a game on the table that we built together. What a down-to-earth guy! The design at left jumped out as more aesthetic, and this became the target with minor changes. 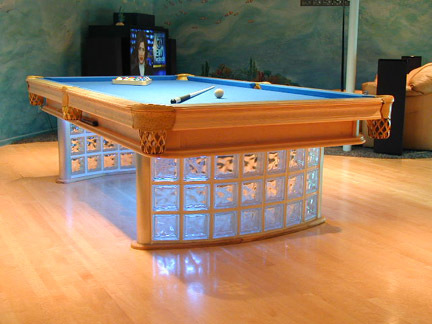 The two interesting parts of the Pool Table Installation are the creation of the pedestals, and the actual delivery / assembly of a pool table. most people don't realize that it arrives in many parts! Click on the images below to explore each of these activities in excruciating detail.